SDPD officers investigate the death of a man who appears to have been dragged 100 yards in a fatal hit-and-run crash on Oct. 1, 2014. A representative with the San Diego Mayor’s office met with women to discuss their concerns about the city’s Citizen Review Board (CRB) on Police Practices Thursday. The women -- Martha Sullivan, Margaret Kuchnia and Stephanie Jennings -- were joined at the meeting by their attorney, Kate Yavenditti. Yavenditti is active in the Occupy organization and also represents the National Lawyers Guild. UPDATE: On Dec. 31 Women Occupy San Diego announced they will be submitting a ballot proposal to the City Clerk January 5, 2016 to make the board "truly independent and transparent." Click here to read more about the proposed ballot proposal. Yavenditti told NBC 7 Investigates Anderson said he has attended a number of CRB board meetings as the liaison for the mayor’s office, including cases discussed behind closed doors and in confidence. During the meeting, Yavenditti said Anderson told them he never saw any pressure or intimidation by San Diego Police Department (SDPD) officers in attendance at the board meetings. In an email, Craig Gustafson, press secretary for the mayor’s office, said Anderson listened to the women’s concerns and directed them to the city’s Charter Review Committee. That committee is in the process of rewriting the City Charter right now, according to Gustafson. City Councilman Todd Gloria told NBC 7 Investigates the CRB needs reform and the county’s version of the board, the Citizens Law Enforcement Review Board (CLERB), is more transparent and works better. Gloria said the city council, working with the public and the SDPD, should make recommendations for changes to the board. He said he hopes to have those recommendations on the June 2016 ballot, where ultimately voters could decide whether to reform the system. NBC 7 Investigates has confirmed the CRB reform measure was heard by the Charter Review Committee but has not been scheduled for any future hearings at this time. If the reform measure is approved by the Charter Review Committee, the earliest it would be considered would be June 15, 2016, for the November election. The CRB was approved by voters in 1988 to help relieve tensions in the city after the shooting death of a police officer by a young black man in southeast San Diego. An NBC 7 Investigates story revealed two former board members, Lucy Pearson and Benetta Buell-Wilson, said they think the board has a “fixed” and ineffective review process. 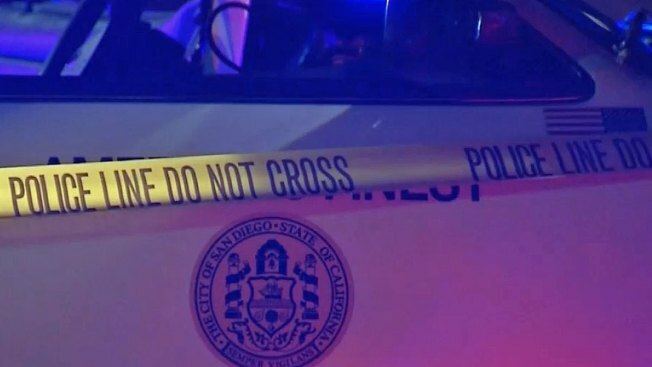 According to the women, the process subverts the board's intent, something that’s detrimental not just for citizens but for SDPD officers as well. Buell-Wilson and Pearson claim a lack of transparency and secret decision-making stifles dissent between members and the city. Both women said CRB members who are "pro-police" get the more serious cases, depriving the complaining citizens of a fair hearing.